For many music fans the surname HANCOX is synonymous with the romping good time brought to you by Pip Hancox and his band of merry lads from the legendary psychobilly originals, the Guana Batz. What they probably don’t know is that Pip has been cooking up an atomic bomb of a new band out in the California desert and is now ready to unleash it on an unsuspecting peaceful world. Something that has been kept a closely guarded secret until now is ready to be unleashed – HANCOX. HANCOX is the solo project created by Guana Batz front man, Pip Hancox, during the summer of 2010. While still enjoying great success fronting his renowned psychobilly band all over the globe, Pip, an English native, along with members of his US Guana Batz line up, decided that an outlet for a slightly different style was in order. Fuelled by the same energy, excitement and passion for live performance, the boys started toying in directions they felt were being neglected in the scene they had come to love and respect. Now this new line-up has produced music unrestrained by the mould formed many years before. The band, consisting of Pip Hancox on vocals, long-time Guana Batz drummer/bass player Jonny Bowler on stand-up bass, highly accomplished So Cal guitarist Gino Meregillano, and veteran drummer Alex Pappas, is now in gear to take their psychobilly family along for the ride. HANCOX represents varied influences and backgrounds combined into one band. With two members hailing from the London night-life and the other two having cut their teeth in the So Cal music scene. A very unique and powerful sound and feel has been created and captured with their first release ‘Vegas Lights’ débuts on December 7th 2012 on I Sold My Soul Media. This entry was posted in Press Releases and tagged hancox, pip hancox, pip hancox solo album, psychobilly. I sold my soul media, released 7th December. HANCOX free download, Simon Nott PR, Simon Nott., Simon Says PR, Vegas Lights. Bookmark the permalink. 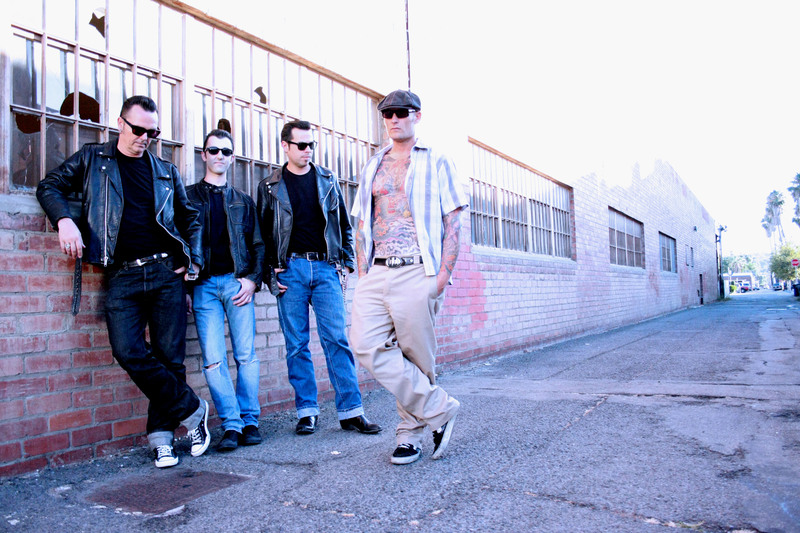 ← PSYCHOBILLY – It’s official after all these years…….